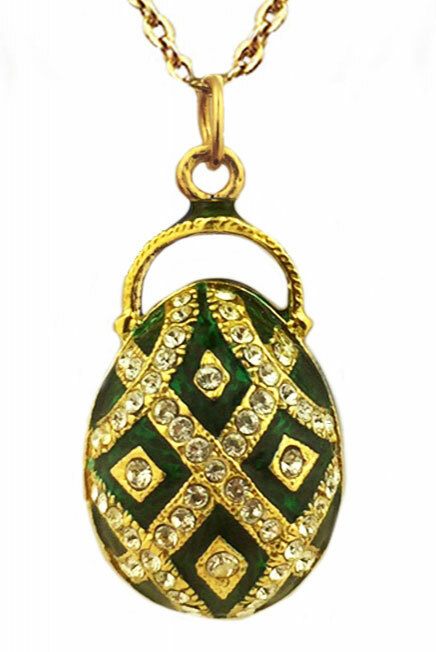 Egg Pendant, Silver / Gold Gilding, Green, 1"
Egg Pendant with Swarovsky crystals, Faberge style, sterling silver 925, gold gilding. green enamel. SIZE: 1 1/4" x 3/4" with the bail. Size without the bail: 1"
Egg Pendant, Silver / Gold Gilding, Black, 1"